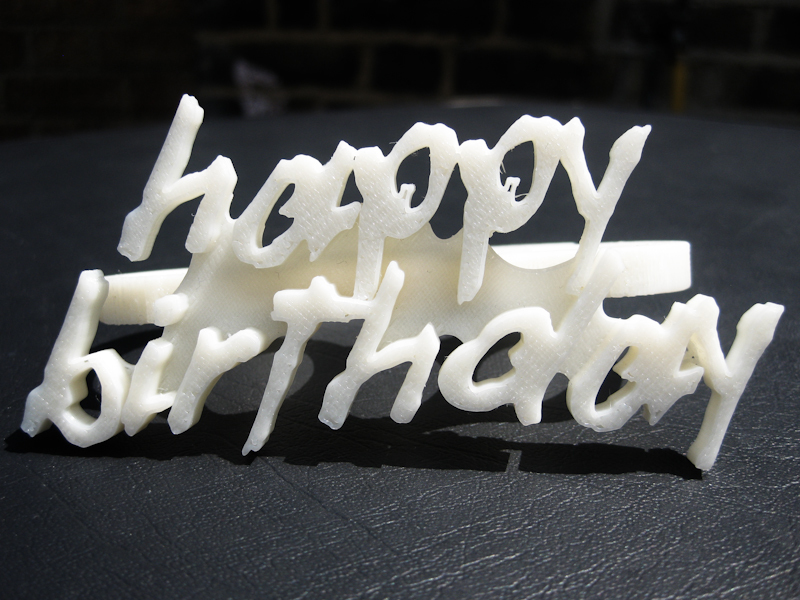 The concept behind the Birthday Knux 3D Print (other than as a birthday present) was to remove any aggression from an otherwise violent and destructive tool and place more of a “party” emphasis on a possible fashion accessory. 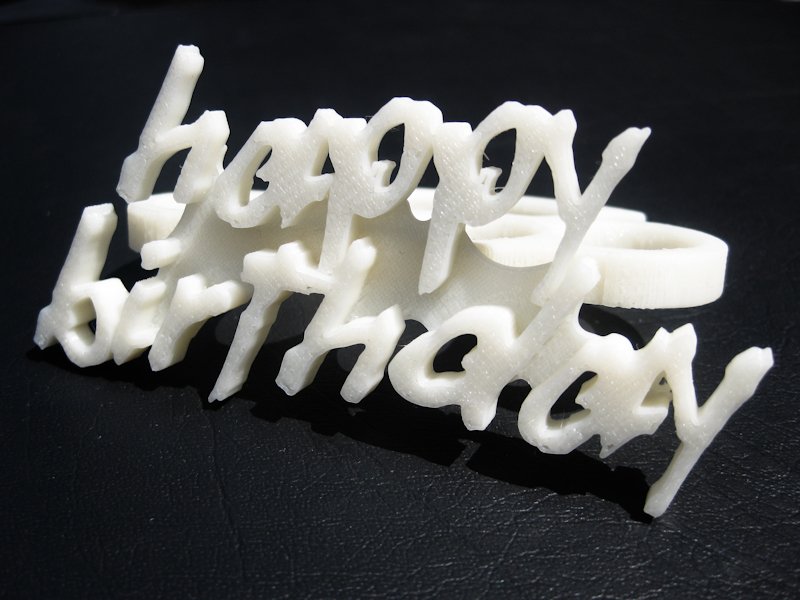 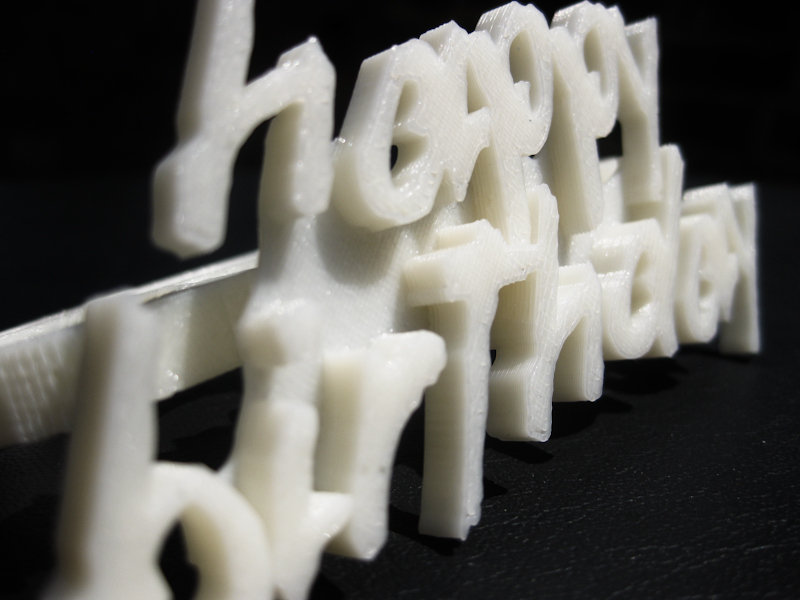 3D printed using a Stratasys UPrint FDM printer, the Birthday Knux is printed by extruding heated material layer upon layer until the object is fully printed. 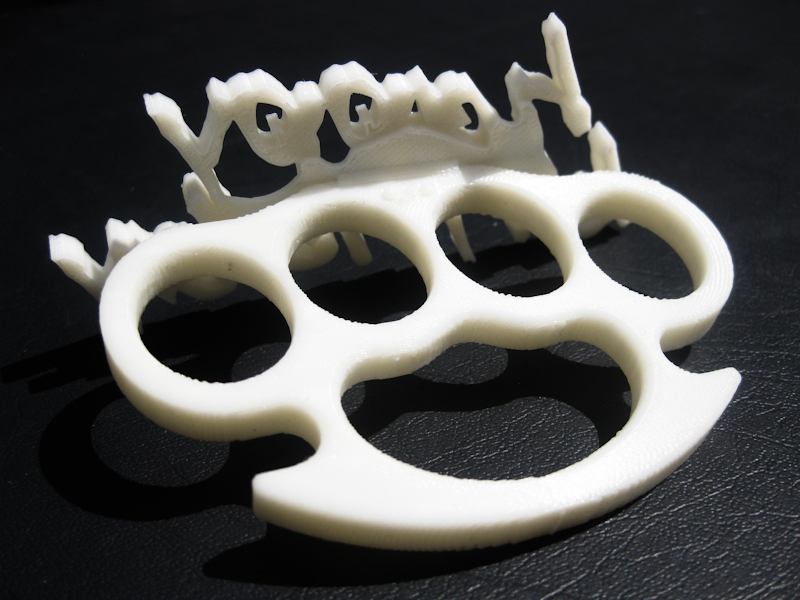 If you would like a custom Knux designed and printed please feel free to contact me via email which can be found on my contact page.